A decline in private sector output in April and falling car sales suggest the German economy is slowing again. A fall in Germany's private sector output in April could signal worse times to come for the shrinking eurozone economy. 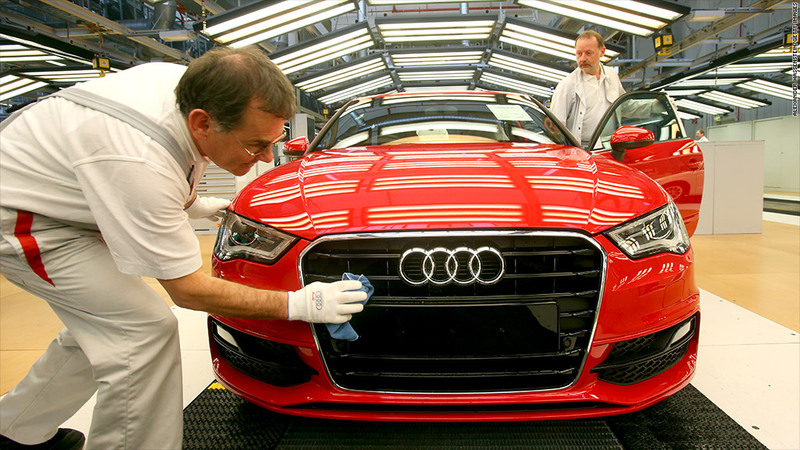 Financial data provider Markit said its initial purchasing managers' index (PMI) reading for German manufacturing and services fell to a 6-month low of 48.8 from 50.6 in March, pointing to the first contraction in output since November. The reading for the eurozone as a whole was unchanged at 46.5, indicating a drop in activity for the 19th time in the past 20 months. New business in manufacturing and services in the eurozone suffered its steepest rate of decline since December. Renewed concerns about the outlook for southern Europe following the messy Cyprus bailout at the end of March may have contributed to subdued business confidence. Markit Chief Economist Chris Williamson said the data reflected a weak start to the second quarter and suggested the region's downturn could intensify rather than ease in the months to come. "Worryingly, the rate of loss of new business gathered further momentum, suggesting that activity and employment could fall at steeper rates in May," he said. "The renewed decline in Germany will also raise fears that the region's largest growth engine has moved into reverse, thereby acting as a drag on the region at the same time as particularly steep downturns persist in France, Italy and Spain," Williamson added. French private sector output continued to contract in April, although the pace of decline slowed. Markit said its April PMI data pointed to a contraction in the eurozone economy of 0.4%, compared with 0.2-0.3% expected in the first quarter of the year. The International Monetary Fund cut its 2013 forecast for the eurozone economy last week, saying it expected gross domestic product to contract by 0.3%. The European Central Bank is slightly more pessimistic, predicting a fall of 0.5% this year. European policymakers continue to predict a gradual recovery in output in the second half of the year but are coming under growing pressure to relax a policy of austerity that has contributed to a sharp loss in domestic demand. Recession in Germany would remove one of the few sources of eurozone growth at a time when the global outlook is also deteriorating. New car sales in Germany fell by 13% in the first quarter of 2013, suggesting a loss of confidence among consumers as well as businesses.